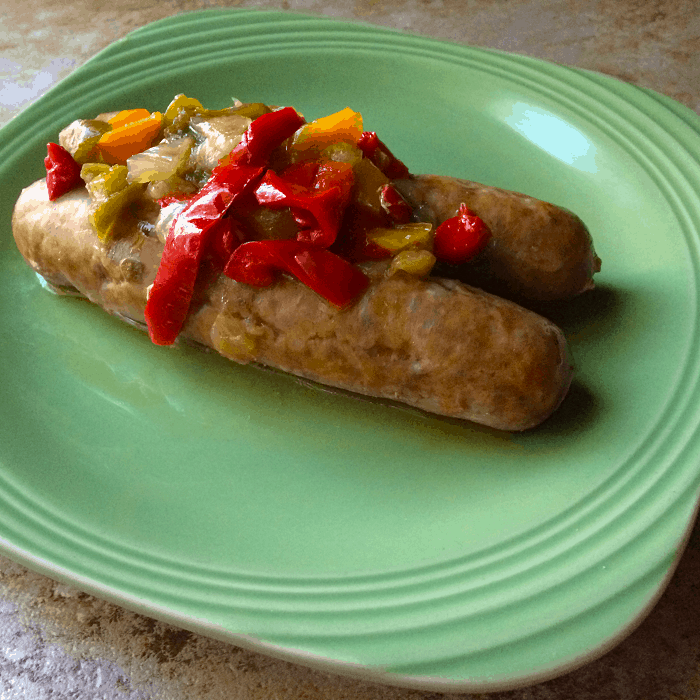 One of my favorite recipes for dinners in the summer is sausage, peppers, and onions. It is not only delicious, it is so easy. This is my go-to meal when I just don’t want to make anything that requires much effort. 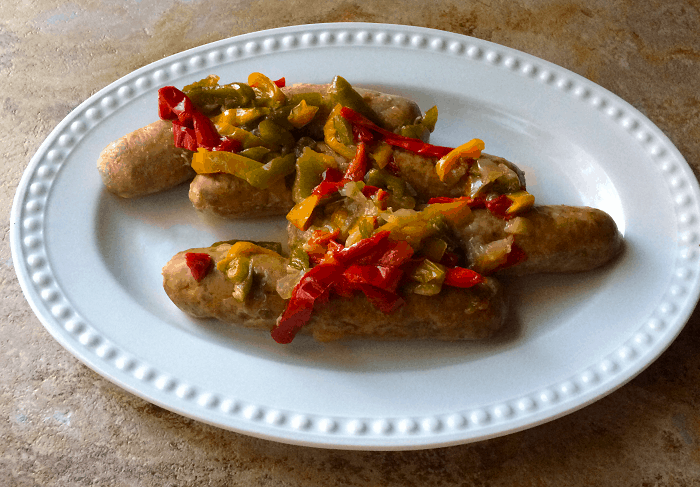 Peppers are in season in the summer, but with this recipe, it doesn’t matter when you have these. I make them with frozen onions and peppers, so it is really just a matter of opening the bag and sprinkling it over the sausages and you are pretty much done. It takes a half an hour to cook, so it could be enjoyed on a weekday (or anytime). Who says keto meals need to be difficult? I like to have fast meals that I do not have to prepare too much ahead of time. Pair it with a veggie and your dinner is done or just have it as is without a side. It is fast, easy, filling, and satisfying. What more could you ask for? Other great dinner ideas you may like are our London Broil Marinade, Easy Crispy Hot Garlic Parm Wings or Slow Cooker Mexican Chicken Thighs. Use a parchment lined glass or metal baking pan. Place the sausage links in baking pan. Pour onions and peppers over the top of the sausages. Drizzle olive oil over the sausage, pepper, and onions. Place in the oven for 35 minutes or until internal temperature is 160F. When the sausages are done remove from oven and let them rest for 10 minutes. Place on plate and Enjoy!! !